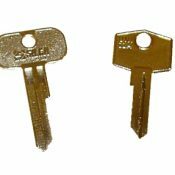 A key to fit mini ignitions, doors or petrol caps manufactured between 1959 and 2001 cut to number or photo. We do not use original Morris/BL/Rover blanks, we use high quality steel blanks manufactured by Silca. 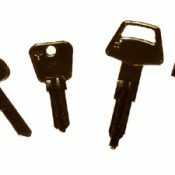 A key for Hillman cars manufactured between 1948 and 1976 cut to number or photo. Models Include: Minx, Californian, Husky, Super Minx, Imp, Avenger, Hunter. We do not use original Rootes blanks, we use high quality steel blanks manufactured by Silca. 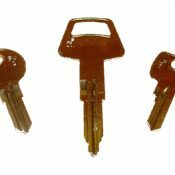 A key for Humber cars manufactured between 1945 and 1976 cut to number or photo. Models Include: Hawk, Snipe, Super Snipe, Imperial, Sceptre. A key for MG cars manufactured between 1955 and 1998 cut to number or photo. Models Include: TC, TD, TF, YA/YB, Magnette ZA/ZB, MGA, MGB, MGC, Midget, 1100, 1300, Metro, Maestro, Montego, RV8, MGF.